Little did anyone think back at the end of August that the Swans would be involved in the preverbial relegation six-pointer in their first home Premier League game of 2016. Whilst many fancied Sunderland to struggle this season, few backed the Swans to be in the midst of a relegation dogfight. But here we are. The manner of the defeat at Oxford on Sunday, did little to lift the tension at the club and whilst publicly Alan Curtis has said the visit of Sunderland isn’t a must-win game, privately he – as do we all – know the importance of a win this evening and putting a 4 point cushion between the Swans and the last relegation place, currently occupied by the Mackems north-east rivals Newcastle. The importance of the game isn’t lost on fans favourite Leon Britton, who stands to make his 500th appearance for the Swans tonight, since joining the club just over 13 years ago. The pint-sized midfield battler has played quite a few must-win games for the Swans, but insists that the Sunderland game is one of great importance, as the club look to pick up maximum points in their remaining home games in the battle to avoid relegation. Given the team changes made on the weekend, we will see a vastly different Swans starting line-up with Alan Curtis confident that his returning stars will provide a positive response and a much needed victory to boost their points tally. Sunderland manager Sam Allardyce, who clocks up his 450th Premier League game as a manager, knows only too well from experience the importance of the match, as defeat will see the Black Cats fall further adrift near the foot of the table. Allardyce rested several first-team regulars their FA Cup defeat at Arsenal and like Curtis, had one eye very much firmly on this game. The Black Cats could be without John O’Shea, Younes Kaboul and Jack Rodwell whom are all struggling for full fitness. Given the injuries to the Sunderland defensive unit, former Bayern Munich defender Jan Kirchhoff could make his debut as the Black Cats look to shore up a defence that has conceded 16 goals in their last 5 Premier League away games. 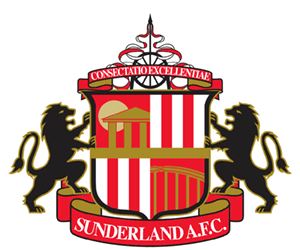 One man the Swans will have to be wary of is the experienced Jermain Defoe, whom has scored both of Sunderland’s goals in their last two meetings with the Swans. Former Swans Danny Graham and Fabio Borini are likely to feature at some stage, whilst there are other Swansea connections in the shape of Spanish midfielder Jordi Gomez and former goalkeeping coach Adrian Tucker, whom hails from Merthyr. Statistically the Swans are firm favourites, having lost just one of their last 15 league meetings with Sunderland (W6 D8 L1) albeit with seven of the last ten meetings ending in a draw. The Black Cats haven’t won at Swansea since November 1963, but we all know how history has a way of biting you on the backside at the most inappropriate of times. The Jack Army MUST believe and back the boys in black and white, because whatever happens, our fate won’t be decided in this game. We are all in this together, the fans, the team, the club and we’re backing the Swans to buck the trend of the pundits and take all three points in a close, nervy game at a cold and wet Liberty Stadium. Fabianski, Rangel, Fernandez, Williams (Capt), Taylor, Britton, Ki, Barrow, Sigurdsson, Routledge, Ayew. Those of you who fancy a flutter might want to check out the odds being offered on the game at the moment and here are a list of our top picks. Don’t forget Sky Bet are currently offering £20 FREE when you bet just £5. Match to end as a 1-1, 2-2 or 3-3 draw at 7/2 – we like to call this sitting on the fence (as Mark Lawrensen has done this time around!). Wayne Routledge to score first at 6/1 – our Wayne is due a goal. The game to end as a stalemate 0-0 at 7/1.